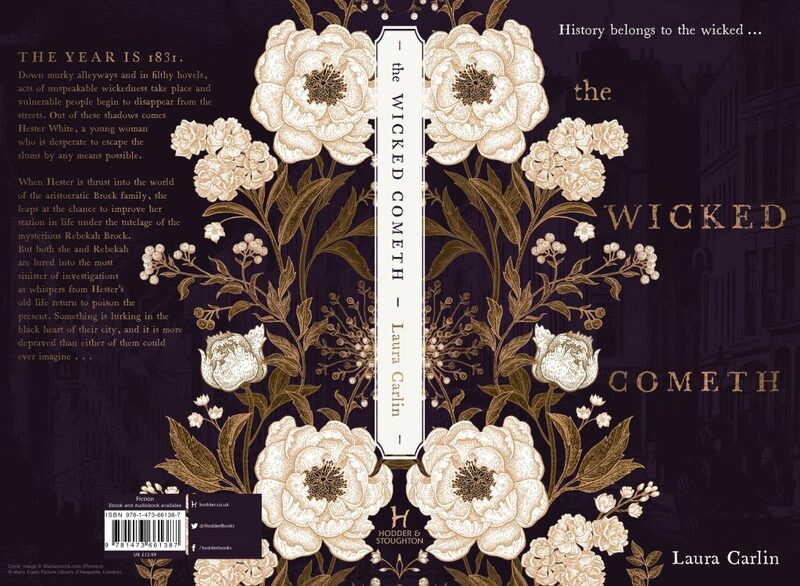 ‘History belongs to the wicked’, and now a stunning new book cover belongs to THE WICKED COMETH. Laura Carlin’s debut novel, set in murky 19th Century London, will be published in February 2018 by Hodder & Stoughton. But for now, we can enjoy the publisher’s gorgeous cover imagery, and they’ve even made a short animation. In March 2017, Editorial Director Melissa Cox acquired World Rights to THE WICKED COMETH from Laura Macdougall of Tibor Jones & Associates. Down the darkest London streets and alleyways, acts of unspeakable wickedness are left unchecked and some of the poorest in society are disappearing, with no one willing to speak for them. But Hester White, a bright young woman from the slums of Bethnal Green, refuses to let the truth stay buried. Having left school at 16, Laura Carlin turned to writing after 28 years of working for a local bank. She lives in Derbyshire with her civil partner, two children and a Siamese cat called Antigone. Pre-order THE WICKED COMETH now from Amazon or Waterstones. Written by Charlotte on May 17th, 2017 for News.